Bibliography: Bartsch 78 fourth of five states; Hind 270 (vol. 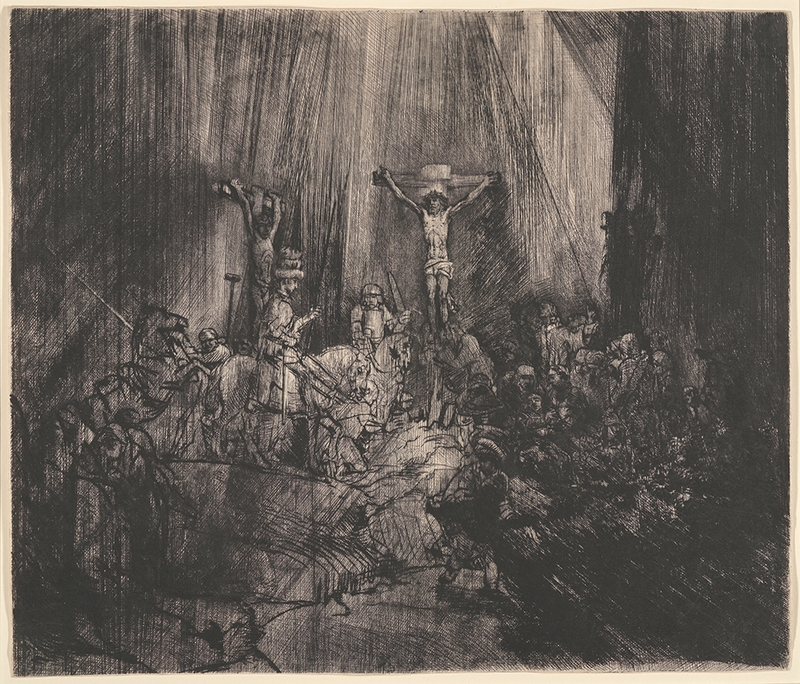 1, p. 147); Robert Fucci, Rembrandt’s Changing Impressions (New York: The Miriam and Ira D. Wallach Art Gallery, Columbia University, 2015), cat. no. 11.2, reproduced p. 101, see also p. 96. Christ Crucified between the Two Thieves (The Three Crosses), . Drypoint with some engraving. Fourth of five states. Plate: 385 x 452 mm (15.2 x 17.8 in.). Sheet: 386 x 454 mm (15.2 x 17.9 in.). DAC accession number 1952.D3.4. Gift of George W. Davison (B.A. Wesleyan 1892), 1952. Open Access Image from the Davison Art Center, Wesleyan University (photo: R. Lee). http://dac-collection.wesleyan.edu/obj12004 is a persistent link to this page with no user-session information.